Preschool Playbook: Time to "Wrap"
Our last week of nursery school for the year 2011 is here. 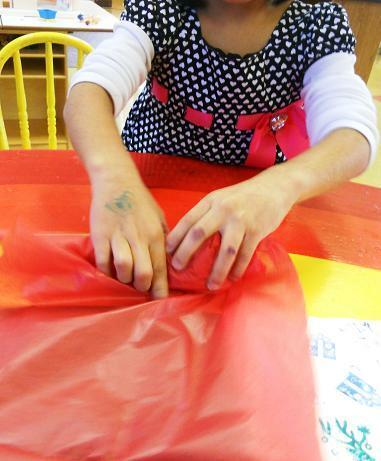 We are trying to put all the finishing touches on our Christmas preparations. As you know, we made some wonderful surprises for our parents this week. Now was the time to wrap them. 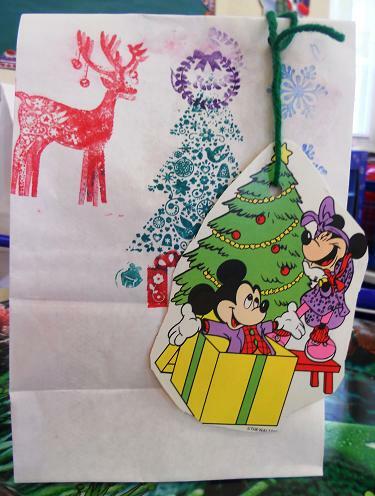 The Pre-K class wrapped their gifts in white bags. 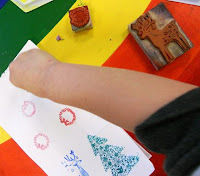 Each child got a white bag, some Christmas stamps, and ink pads. The first thing they did was to decorate the front and back of their bag with the stamps. 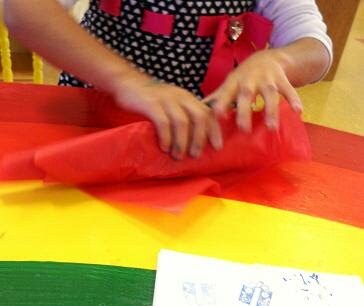 Then I had them roll the present in some tissue paper and place the gift in the bag. 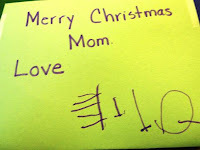 We used old Christmas cards for tags. 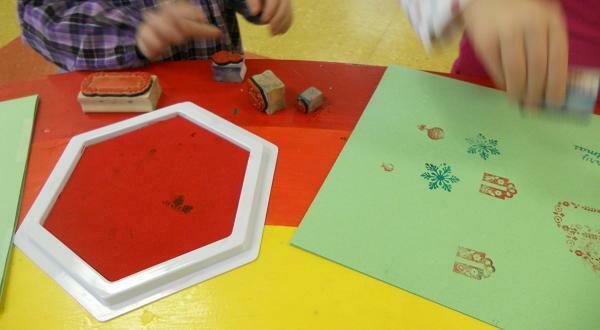 I had cut some up and let the children choose which one they wanted. They wrote their names on the back of the tag and we tied it to the bag with some yarn. The presents are under our tree for the party on Friday. The three-year-class wrapped up their gifts today. I had made some green envelopes from 12 x 18 paper. 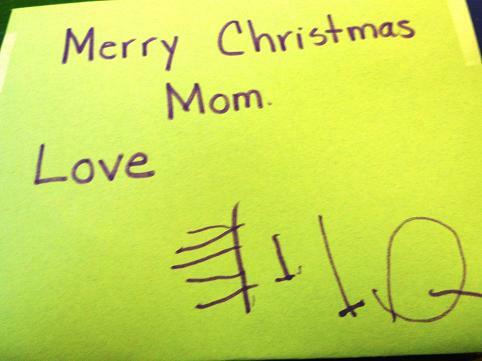 On one side of the envelope I wrote a Christmas greeting and the children signed it. 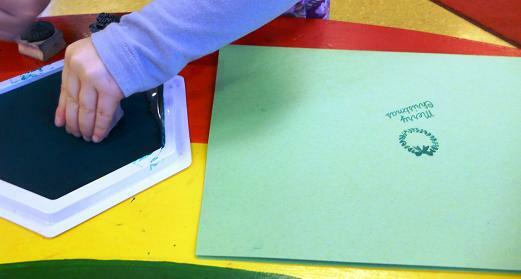 Some of the children are able to write their names, others traced their names. 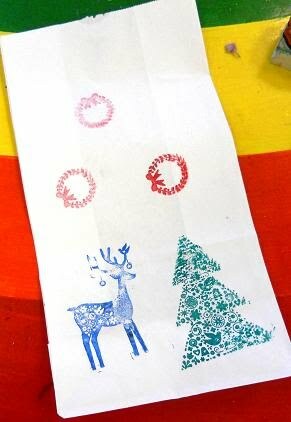 After the greeting was written I gave them the Christmas stamps to decorate their envelope. They're all festive and ready to go. 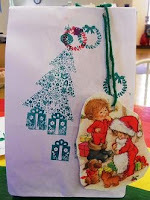 Loving the old Christmas cards as tags...and a great lesson in cutting...cute!!! !